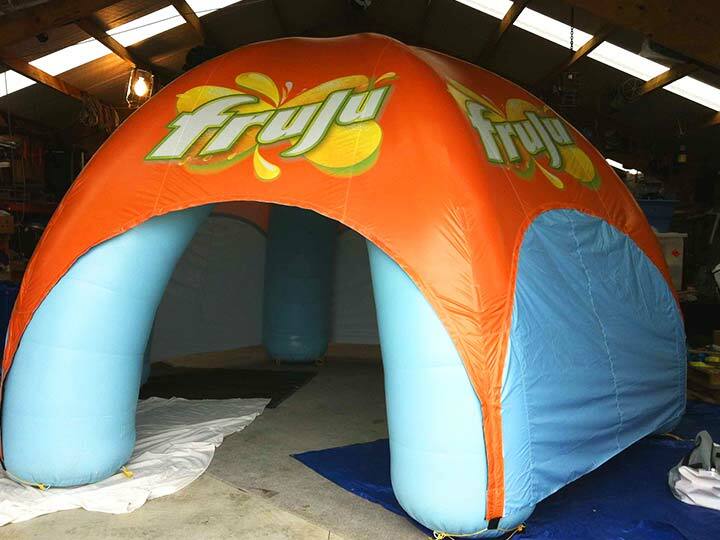 Fruju (6m) - Balloon Promoters Ltd.
Inflatable tents from 6m to 10m plus in size! Purchase complete system or hire the tent and we will make a top with your logo! Removable side doors if required – these will zip on and off. Some tents can be used with ‘misting’ units – excellent idea for end of a triathlon or running event! Great place to cool off!! Your chance to show off your brand! We can also offer you a service option where we will set up and monitor these tents at events. Many uses – trade shows, promotional events, Round the Bays, Big Day Out, Parachute.